The fan blows air out of the unit and in doing so, air is drawn over the evaporator coil (around the outside of the unit on the above diagram) This then transfers heat from the air to the refrigerant gas inside the refrigerant pipes. For every dollar that you spend on electricity with a heat pump, approximately 5 dollars will go into your pool. 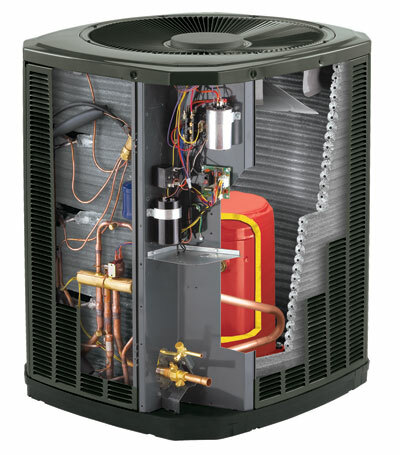 The electricity to the heat pump simply powers the fan and compressor. The system takes heat from the surrounding air and transfers it to the pool using the refrigeration cycle. YOU PAY FOR 1 UNIT OF ELECTRICITY AND YOU GET 5 to 7* UNITS OF HEAT FREE !! What size heat pump do I need for my swimming pool? The heat pump size you’ll need depends on the size of your pool, the shape, and your location. Below is a quick reference on heat pump sizing for a rectangular pool. How much does it cost to put a heat pump pool heater in a pool? The installation cost of a heat pump pool heater ranges from a low of $3000 to a high of $5,000. How much electricity does it take to heat a pool with a pool heat pump? Pool heat pumps offer affordable heating at $50 – $150 per month. The higher number represents peak use. For most pool owners, heating costs will usually stay on the lower end throughout the year. •	On that note, you can easily double the energy efficiency of any heat pump pool heater by simply using a solar cover. The improved heat and water retention your pool gains from using one take a huge load off of the heat pump’s heating duties. How I often should I do pool heat pump maintenance? Heat pump pool heaters vs gas: which is best? The main idea here is energy efficient heating vs fast heating. While pool heat pumps offer an affordable heating solution ideal for most climates, they’re heating speed is slower when compared to gas heaters. Gas heaters offer substantially faster heating speeds at the cost of, well, money— gas is expensive. In most situations, gas heaters are seen more often in small spas or used as backup heaters to pool heat pumps for those frigid days. Heat pump pool heaters vs solar: which is best? Another great question that pops up in the pool industry more often than surprise algae right before a summer pool party. Again, answering this question comes down to preference. However, since both heaters focus on energy efficiency, comparing the two is a little different. But to keep things brief, we’ll summarize it down to this: solar pool heaters offer some of the most affordable pool heating available, but they cannot be used on demand due to the nature of their heat source (the sun). Pool heat pumps offer energy efficient heating on-demand, whether the sun is out or not. Of course, it doesn’t always have to be one or the other. 1.) They’re eco-friendly Using R410A refrigerant and non-combustive heating, heat pumps emit zero harmful emissions. This makes them very environmentally friendly. Unfortunately, the same can’t be said about gas pool heaters. 2.) They’re way more energy efficient than other pool heaters Just how much is “way more”? Well, heat pump pool heaters are four times more energy efficient than gas, and nearly six times more energy efficient than electric resistance. 3.) They last a long time As we mentioned earlier in the post, most heat pumps can easily last 10-20 years, which is impressive compared to other pool heater types. But what’s more impressive is knowing how easily a heat pump’s lifespan can be extended with good maintenance habits. 4.) They’re quiet For the most part, almost all heat pumps operate at a fairly low volume. Usually quiet enough to fade into background noise. But for those who appreciate silence in all its golden glory, there are some heat pumps that are even quieter, operating at volumes as low as 50db. 6.) They extend your pool season Without a pool heater, your swim season is pretty much limited to whenever it’s warm enough to swim. But with a pool heat pump, you can enjoy comfortably temperate water whether it’s 100 degrees out or 70. And with a pool heat pump, you can open your pool earlier and close it earlier. All of which means more time to swim and enjoy good company in the comfort of your own backyard. Now THAT’s getting the most out of your swimming pool. 7.) They’re easy to maintain Heat pump pool heaters are robust, so you won’t have to regularly take them apart and clean tiny gears or anything like that. A bit of good housekeeping and basic pool heat pump maintenance goes a long way in keeping your heater in good shape. 8.) Easy to use Turn on your pump, power on the heater, set your desired temperature, and you’re done. It’s really that simple. With easy-to-ready displays and push button controls, heat pumps are easy to use and won’t leave you scratching your head in frustration. 9.) 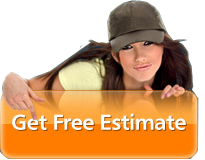 They’re simple to repair If and when you run into some problems, reliable pool heat pump repair is just a phone call away. For some pool owners, having a professional heat pump technician handle the work is the preferred choice. 10.) They’re great for all climates Whether you live in the east or west coast, north or south, a pool heat pump works great. With operation limits down to 40 degrees (in the 30s for more advanced heat pumps), heat pump pool heaters provide more than enough heat to extend your swim season and enjoy comfortable swims when you want to. But did you know that some pool heat pumps can also cool your pool when it gets too hot? Now that’s convenient. Bonus Fact: If you live on the seacoast, a heat pump is especially great due to its corrosion-proof titanium heat exchanger. No more salt damage! 11.) They’re technically “solar heaters” Although they don’t utilize solar panels, heat pumps still use heat energy created by the sun as their primary energy source. Without the hot temperatures produced by the sun, heat pumps wouldn’t really work all that well.